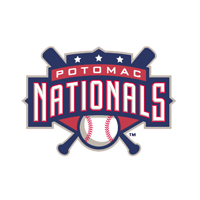 The Potomac Nationals defeated the Salem Red Sox 4-1 in a game shortened by severe winds and power outages after seven innings. Nathan Karns shut down the Salem Red Sox with 11 strikeouts over seven one-run innings for the win. With the Nationals up 4-1, significant wind gusts of over a reported 80 miles per hour halted the game as Adrian Sanchez came up to bat for the Nationals. The stadium lights flickered and shut down as the players ran off the field. Fans were evacuated from the stands and put into the tunnel underneath Salem Memorial Ballpark. The power came on and off multiple times and the game was called. Potomac started the scoring in the second inning against Salem starter Brandon Workman. Jason Martinson hit a monster shot out to straight away left to give the P-Nats a 1-0 lead. It was the second straight game Martinson hit a homer and his third with Potomac in just nine games. Potomac scored three more runs in the fifth. Stephen King and J.P. Ramirez led off the inning with hits. Francisco Soriano lined a double down the right field line scoring King to increase the lead to 2-0. Adrian Sanchez smacked a single up the middle against a drawn in infield scoring Ramirez and Soriano to give Potomac a 4-0 lead. Nathan Karns dominated for the Nationals with six straight scoreless innings to start the game facing just one more than minimum. The Red Sox put together a two-out rally in the seventh when Karns issued his first walk of the game. Then Xander Bogaerts hit a soft line drive was carried by the wind over Sanchez for a single to put runners at first and third. Karns struck out Michael Almanzar but a wild pitch led Almanzar reach and Brandon Jacobs score to bring the Sox within 4-1. But Karns struck out the final batter of the inning as he recorded four strikeouts in the inning. Karns (3-2) got the win tossing all seven innings giving up just three hits, a walk and striking out 11 batters. This is the second straight outing he’s struck out 11 which is a career-high. Workman (5-4) takes the losing giving up eight hits and four runs over six innings.